24/7 support and predictable costs. IT problems have a tendency to come up when you least expect them. We offer options for fixed pricing for our services, so you never encounter surprise costs. 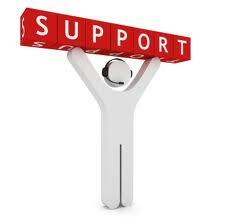 We also provide you with unlimited IT support 24 hours a day, 7 days a week. It’s our Worry Free IT guarantee! You know the drill; something unexpectedly breaks down on your network. Your IT Company comes out to fix it and that is followed by a big bill. Those nightmares can be a distant memory. With CompleteCare IT from On-Site Computer, we work with you to ensure your network doesn’t break in the first place. Our flat-fee monthly approach to billing is our incentive to keep your network running smoothly. The better we do our job, the less you’ll see of us, and the more you’ll get out of your network. At last, you can stop paying for downtime. Doesn’t that make sense? Router and Switch Management. All changes and maintenance of your network routers and firewalls is included in our service contract. Remote Tools and Management. On-Site Computer installs our Management Agent on all workstations. This agent allows us to “Share the Screen” with any PC in your company, checks workstations for problems, and allows us to even install software for you on-demand. Client Portal. All of our CompleteCare IT customers also get a customized service portal with monthly statistics on their network, information on systems, and a service ticketing system with tracking. We will provide preventative maintenance you would expect from your IT provider once a month – except you’ll get it every day. We monitor your network for spyware, virus activity, and failed backups and keep your systems patched and updated. For service outside of the scope of monitoring and maintenance, we can provide you with discount block hour time or bill out time and materials. 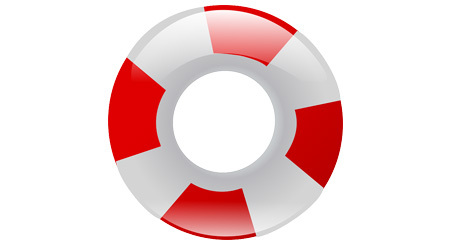 In addition to the extensive preventative maintenance, you’ll get access to our Help Desk and Remote Support service. All said the Basic Plan is a great start in the CompleteCare IT program. We apply the meticulous preventative maintenance schedule and remote management software from our Basic Plan to put us closer to your network. But with the Advanced Plan, if something does get through to your servers, it’s our problem – not yours. As with the Basic plan your staff has access to our Help Desk and Remote support. CompleteCare Sentinel extends the benefits of our Advanced Plan to where the real work gets done – the workstation. Most support calls can be handled much faster with our Remote Server than waiting for an on-site technician, so we give each of your user’s unlimited access to our live service desk and our on-site technicians. And we still perform all of the monitoring and maintenance of the Basic Plan so you don’t have problems in the first place.